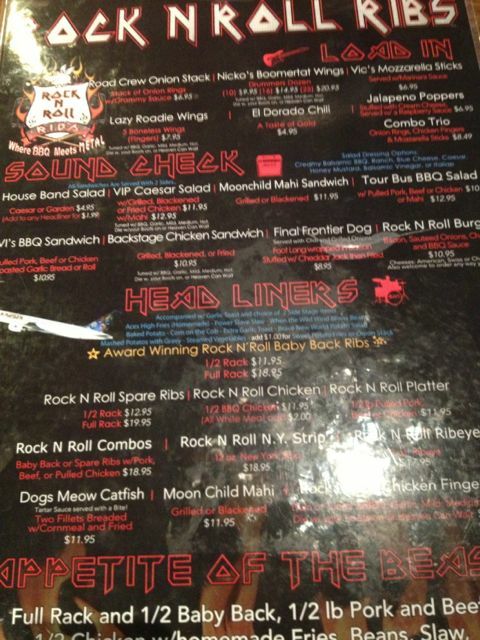 Tucked into a shopping center in Coral Springs is a Rock n Roll themed BBQ restaurant that the locals flock to when they want to get their “Heavy Metal” Q on. My twelve-year-old nephew is a regular and made me promise to try the Baby Back Ribs. Turns out this kid can eat a full rack on his own. 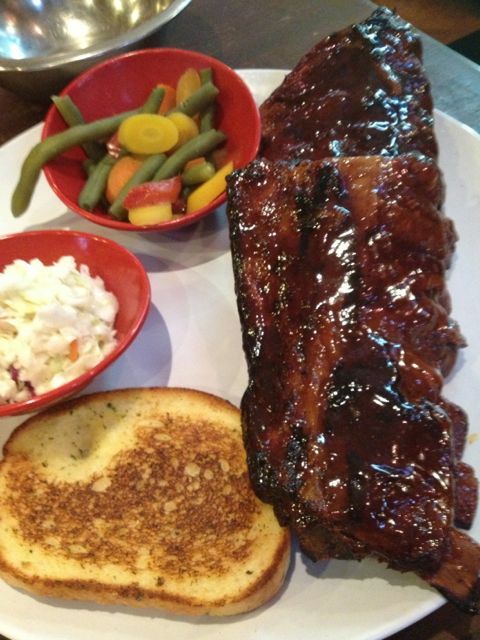 What you get is St. Louie style ribs that are first smoked then liberally brushed with sauce and finished off on the grill. 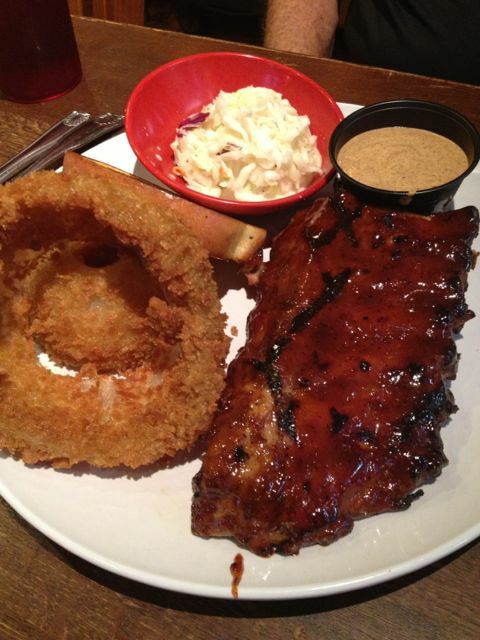 The meat falls off the bone and the sauce has that nice tang that you’ll happily lick off your fingers. We also liked the X-large Stack of Onion Rings with spicy Grammy Sauce for dipping. The well-rounded menu has many options for non-Q folks like hotdogs, burgers, chicken and fish. Causal, friendly and a no brainer especially if you live in the area. This entry was posted in American, BBQ, Broward County, Casual Dining, Inexpensive ($25 & below), Owner Operator and tagged alanEATS, BBQ, casual, Casual Dining, chicken fingers, chicken wings, coral springs, Heavy Metal, hotdogs, Nicko, pork ribs, Q, restaurants, ribs, Rock n Roll, sloppy Joe, Steak by alanEATS. Bookmark the permalink.